MEBO had no intentions of going live on ustream because it has always been MEBO's intentions to protect the privacy of each person attending any meetup, and Ustream would have compromised this ideal. Unfortunately, this post was published after I left Miami on my way to the meetup, possibly due to a misunderstanding of a conversation regarding someone's request, and I was not aware of it until after the conference was over. Please rest assured that no one logged in to ustream during the conference from our conference room, and no part of the conference was aired live at any time. Sorry for the misunderstanding. 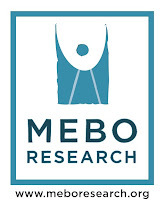 I would like to take this opportunity to clarify that in all future meetups sponsored by MEBO Research, there will be no cameras whatsoever during the conference, particularly for such purposes as a webinar, "virtual reality" lifestreaming or live broadcasting, or video conferences. Everyone is invited to join us to attend the conference in person; and as usual, I will post about the material discussed when I return from the meetup. I have always been very sensitive to the need for privacy of each and every person attending these meetups, and my videos or slideshows of the event or any other post never include a picture of a sufferer who attended without their expressed consent/request to do so because they sought to relay a message to the community. The Washington body odor & halitosis meetup begins today at Embassy Suites Dulles Airport. An informal get together is hoped to happen tonight at the manager's reception around 7.30pm. All are welcome. A conference is expected to begin Saturday at 11 a.m. 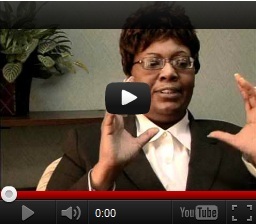 It's hoped we can network with the internet in some ways. It's hoped that some livestreaming can be done, though this is not certain. If possible, it would be via Ustream.